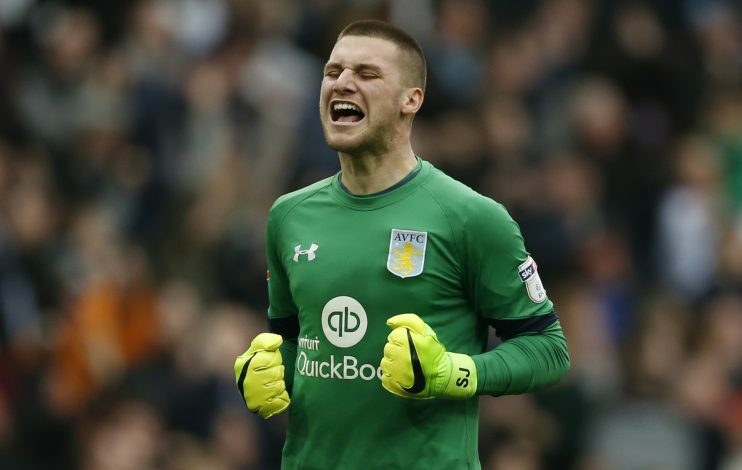 Aston Villa are set to bring Sam Johnstone back to the club in another loan deal from Manchester United. Johnstone is highly rated at Old Trafford, having joined the club 7 years ago as a hopeful 16-year-old. Now 24, the Englishman has still not managed to break into the first-team, and this appears to have frustrated the keeper. United boss Jose Mourinho seems to have an inclination towards his fellow countryman Joel Pereira – who he believes will become Portugal’s best keeper – and with the likes of Sergio Romero and David de Gea ahead of him in the pecking order, any hopes of at least making a first-team debut looks highly unlikely. Johnstone has been excluded from the Red Devils’ pre-season tour squad that has traveled to the United States of America to take part in a series of high-profile friendlies, and this appears to be further indication that another loan move is imminent. According to Sky Sports News HQ’s sources, Aston Villa manager Steve Bruce is keen on bringing the shot-stopper to Villa Park, and will attempt to seal the move before the start of the new season. Johnstone spent the latter half of last season on loan with the Villans and impressed, making 22 appearances and keeping 8 clean sheets in the process. It is understood that he is equally keen on making the switch in what could be his last loan move as a United player, as his contract at the Theatre of Dreams expires in less than a year, and there appear to be no signs of a renewal being offered to him.